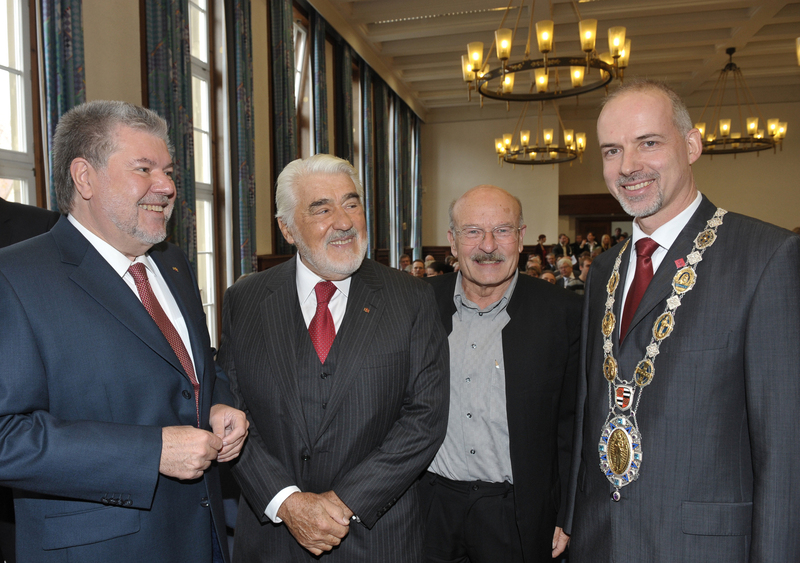 In recognition of his impressive lifetime achievements, Johannes Gutenberg University Mainz selected the renowned German film and stage actor Mario Adorf for the award of an Honorary Doctorate of the University – only the second ever granted in the history of the JGU. 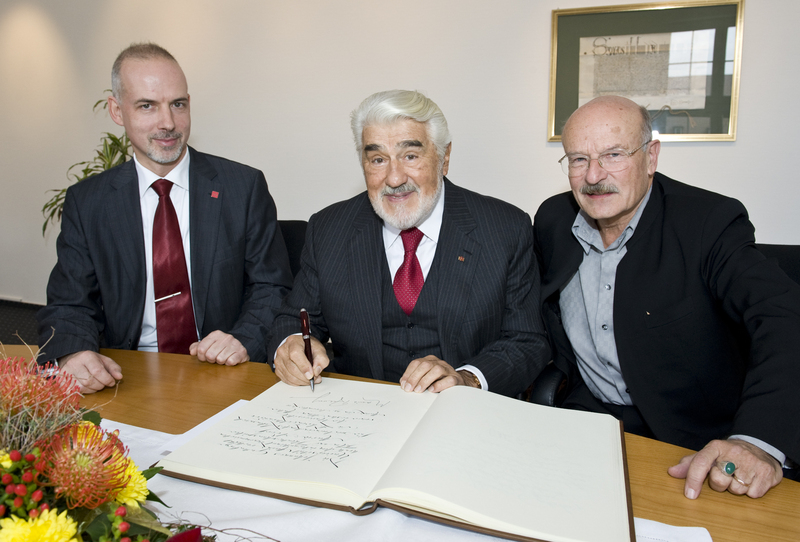 "For decades, Mario Adorf has been one of the dominant figures in German and European film history," explained University President Professor Dr. Georg Krausch. "He has made an enormous contribution to the resurgence of the culture of theater in Germany. 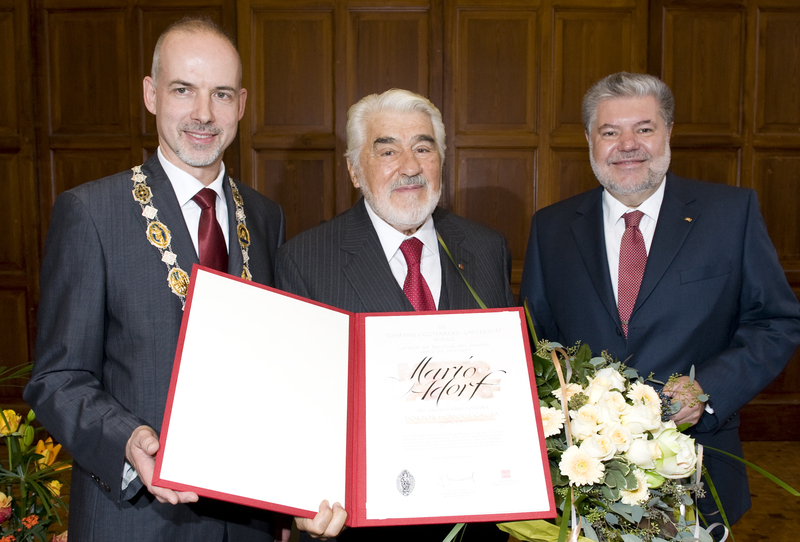 The award is also a recognition of the fact that Mario Adorf has maintained strong links with Mainz University – his alma mater – over all these decades." Honorary Doctorates are granted by the Academic Senate of the University to outstanding public figures. 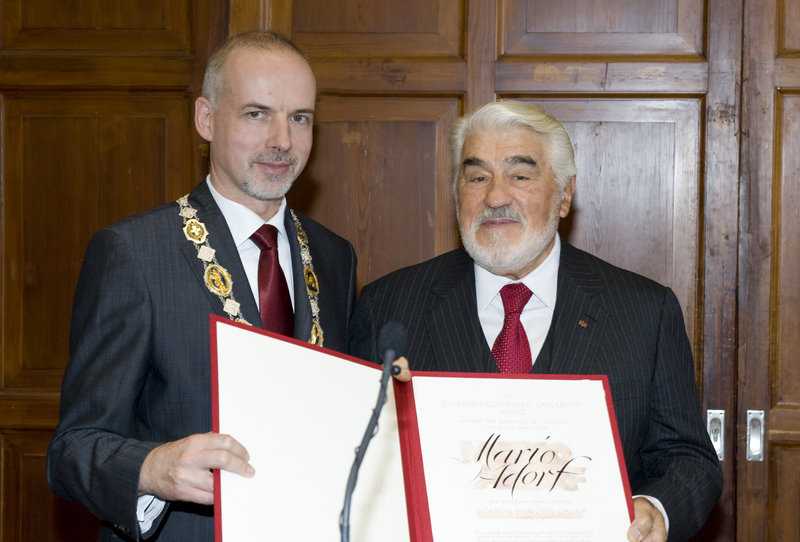 "I am delighted that Mario Adorf has been chosen to receive this special award today. 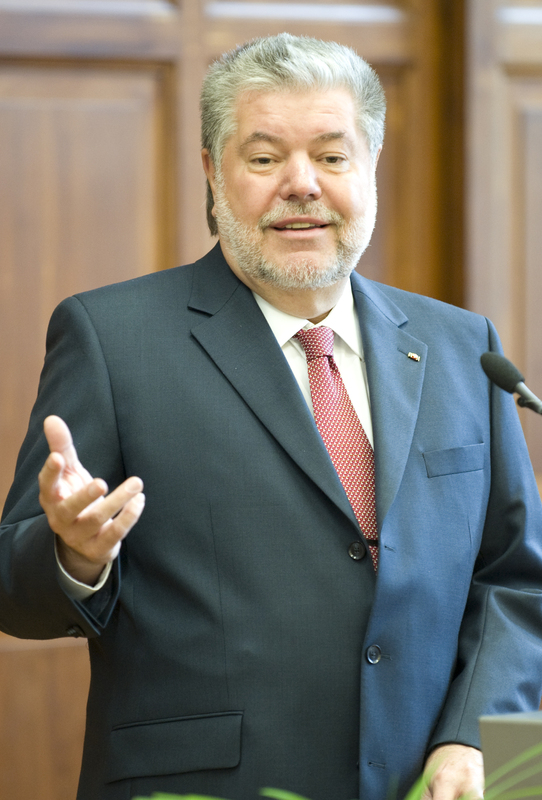 He is the second person honored by Mainz University in this way following in the steps of Valéry Giscard d'Estaing, the former President of the French Republic, who received the Honorary Doctorate of Mainz University in 2006," explained Kurt Beck, Minister President of the state of Rhineland-Palatinate, at the ceremony. Beck also noted that Adorf, who has made an almost unique contribution to European cultural life for more than half a century, actually commenced his worldwide acting career in Mainz. 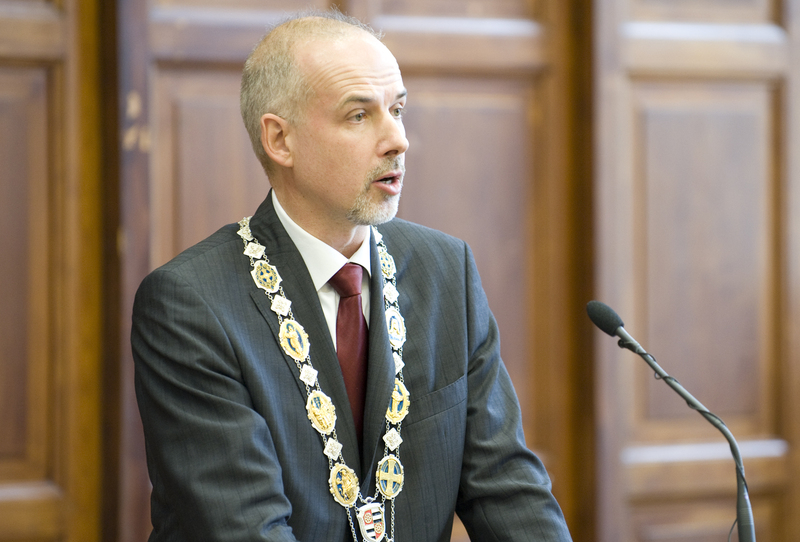 "It is a source of great pride to us that so much still links him to Rhineland-Palatinate, to the capital of our federal state and to Mainz University," he concluded. Adorf was born in Zurich in 1930 and grew up in Mayen in the Rhineland-Palatine Eifel region. While studying at Johannes Gutenberg University Mainz in the 1950s, he showed particular interest in the lectures given by psychologist Albert Wellek and philosopher Karl Holzamer. After about two and a half years, he returned to Zurich and then studied to be an actor in Munich, where he made his first stage appearances at the city's Kammerspiele Theater. According to the actor himself, his most influential teacher was Fritz Kortner. 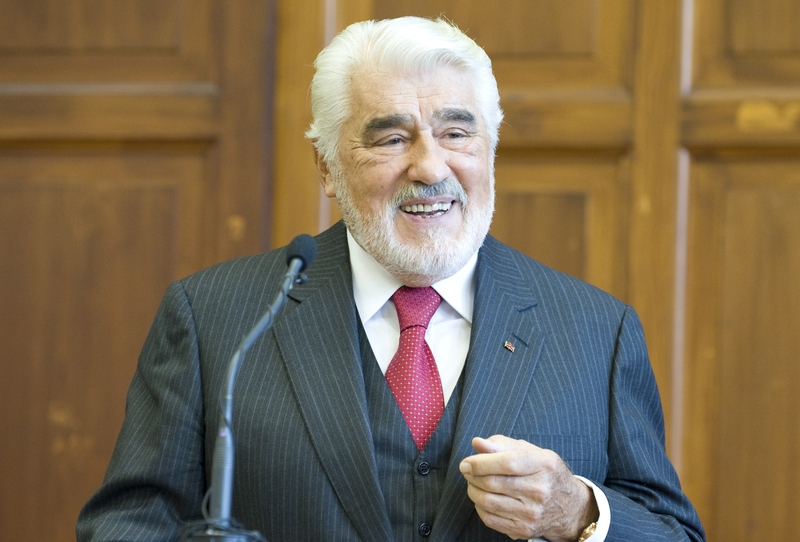 Adorf made his film début in the early 1950s and over the course of his professional career, Mario Adorf has been involved in over 150 films for cinema and television. Throughout all these years, he remained close to Johannes Gutenberg University Mainz as his alma mater, where he collected first stage experiences as a member of the JGU student drama group. Mario Adorf's outstanding achievements have been recognized in a host of major awards presented by the film and television industries: He has received the German Film Award on several occasions, and in 1994 he was chosen to receive the Adolf Grimme Award and the Golden Camera. For his lifetime achievements, he received the Carl Zuckmayer Medal in 1996, the Order of Merit of the Federal Republic of Germany in 2001, and the German Film Award in 2004. In 2005, he was awarded the Order of Merit of the Federal State of Rhineland-Palatinate. The Honorary Doctorate granted by Johannes Gutenberg University Mainz is in recognition of the actor's life's work. 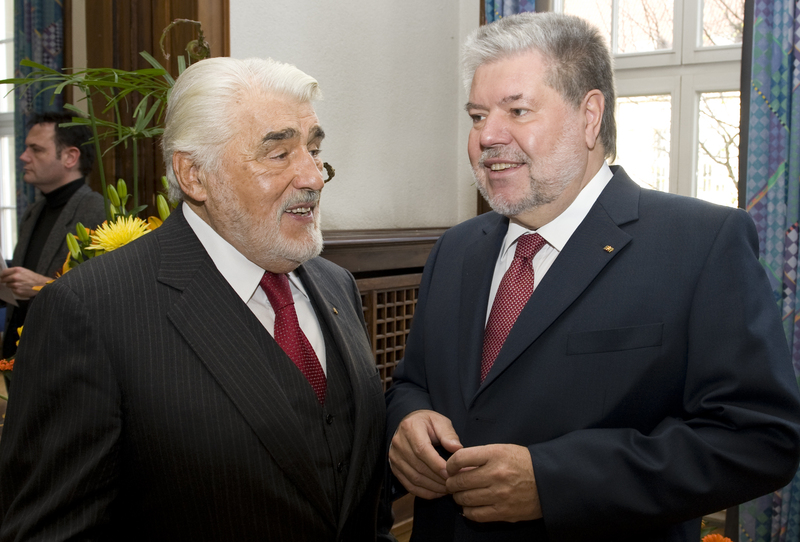 In his laudation of Adorf, film historian and expert Dr. Bernd Kiefer states: "Mario Adorf made the transformation from a German actor to a European actor, one with tremendous international experience in both large and small productions, in roles that required him to play German, Italian, English, French and even American parts, time and again as characters whose nationality is every bit as unfathomable as the character himself remains ambiguous. You might say that Adorf anticipated a European existence that is only now beginning to take real shape: in the emergence of the new that remains lodged in or has still to break away from its origins. Who could have been more predestined to embody this than Mario Adorf, whose very name, just like that of Thomas Mann's Tonio Kröger, provides a contradictory link between two cultural spheres? 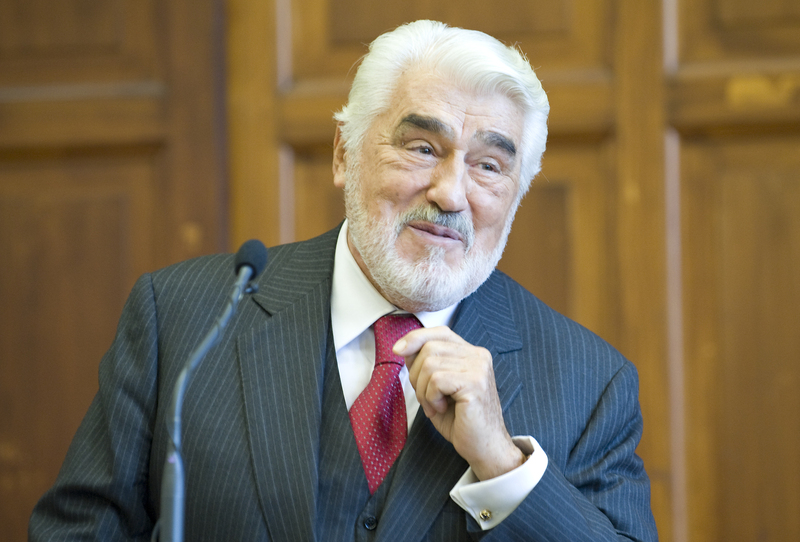 […] If we cast a brief glance at the enormous range of characters played by Mario Adorf, this German actor who became a European actor, over more than fifty years up to the present day, we can see that he has given us something that deserves to be acknowledged as more than just a valuable contribution to European film and television history. Through his life's work he has helped us to develop a better understanding of human beings. And in doing so he has shown that the acting profession can be a valuable ally of scientific research." 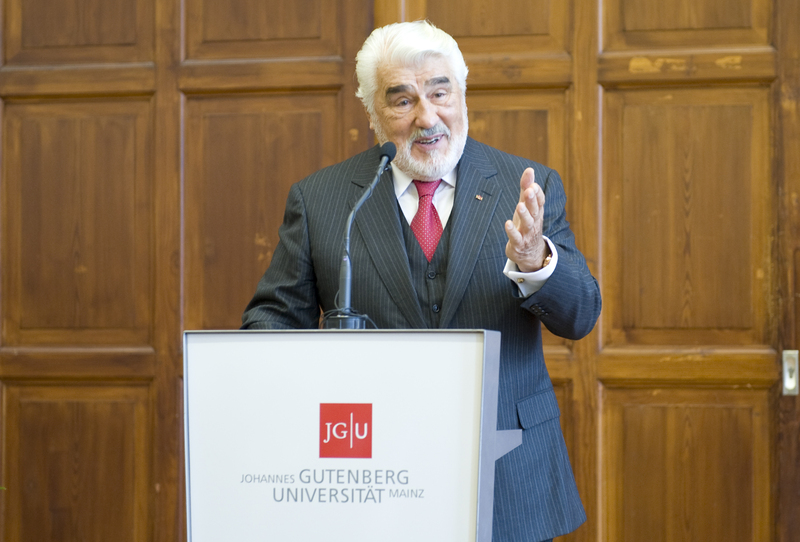 In granting an Honorary Doctorate to Mario Adorf, Johannes Gutenberg University Mainz is paying tribute to a public figure who has not only left his mark on decades of German and European film history but also to a man who played a major role in shaping the German post-war theater landscape. 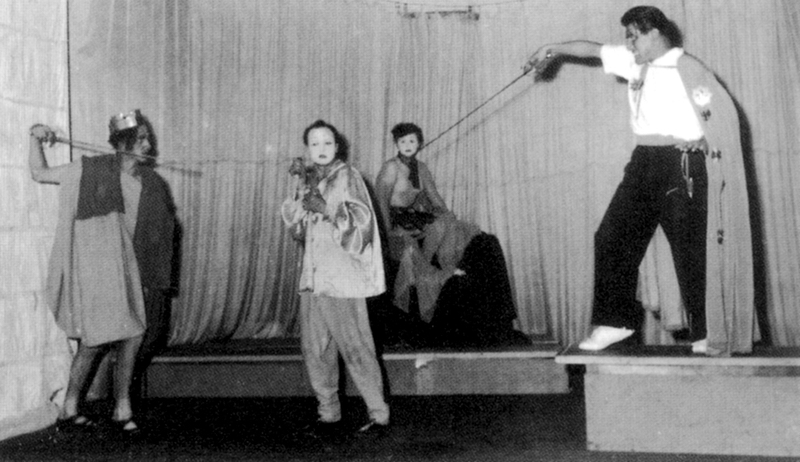 In his homage to Mario Adorf, Professor Dr. Friedemann Kreuder, Director of the Institute of Theater Studies at Johannes Gutenberg University Mainz, underlines the importance of the actor's work: "From his prominent position, Adorf worked with Germany's older generation of directors and theater artists and those of his own age to help shape the country's theatrical and cultural renaissance. Drawing on contemporary American and French dramatic techniques, they together took first steps towards addressing issues such as the problems of the post-war period and Germany's national socialist past." To this day, Mario Adorf often returns to the stage. 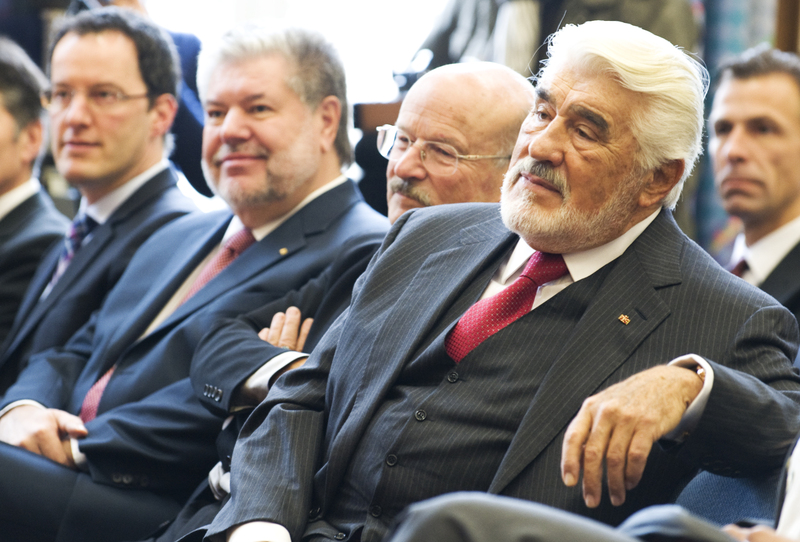 In his laudation Professor Kreuder also draws attention to the fact that Mario Adorf's "enormously varied career in theater and film not only had its roots in Mainz University, the city of Mainz and the Federal State of Rhineland-Palatinate; to this very day it continues to refer back to these origins in a great many ways that are highly enriching." To cite just one example, the Nibelungen Festival in Worms is inseparably linked with the name of its founding member Mario Adorf. Worth mentioning at this point is also his involvement in the "Mainzer Gespräche" (Mainz Discussions), a joint project organized by the Rhineland-Palatinate Initiative for the Future and Johannes Gutenberg University Mainz, and his presence at the 60th anniversary of the reopening of Mainz University in 2006. 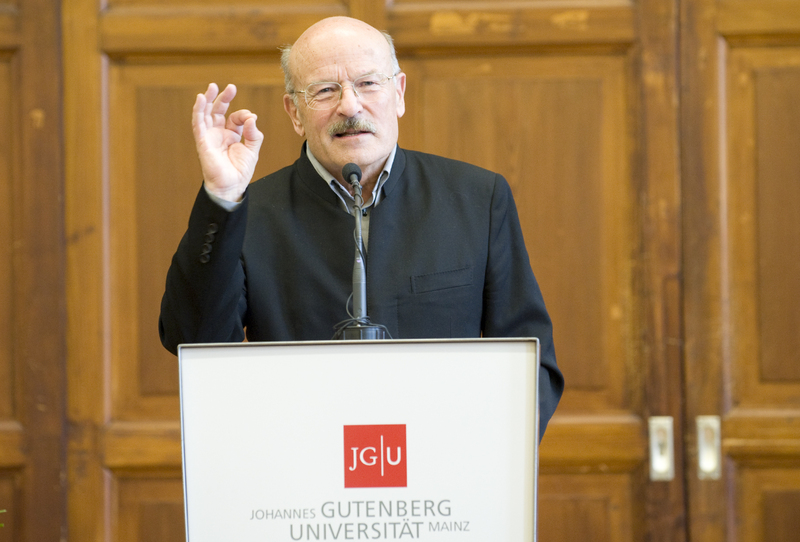 Honorary Doctorate awarded by Johannes Gutenberg University Mainz According to its basic order, Johannes Gutenberg University Mainz can award Honorary Doctorates to "outstanding public figures." Nominations must be approved by a three-quarter majority in the Academic Senate. To date, the honor has been granted on one previous occasion only – to France's former President Valéry Giscard d'Estaing on the occasion of the 60th anniversary of the reopening of Mainz University.